9x12, xiv + 172 pp. 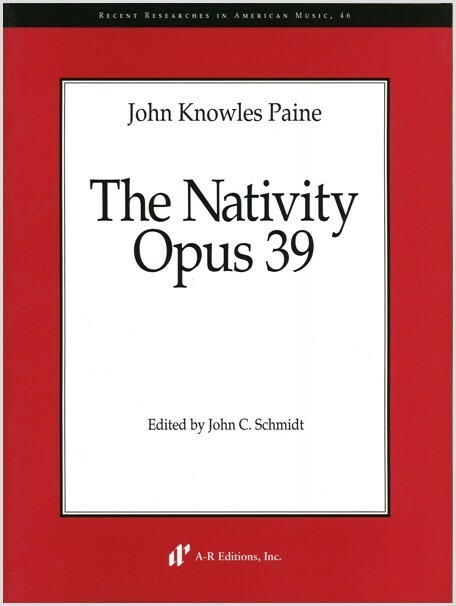 John Knowles Paine (1839–1906) was a leader in composing choral music. His earliest major work was his Mass in D (1865); the oratorio St. Peter (1872) was his first choral work to be performed. Two short cantatas were followed by a more extended effort, The Nativity, composed for the sixth triennial festival of the Handel and Haydn Society of Boston in 1883, with its premiere occurring on 2 May, conducted by the composer. The cantata sets twenty-seven stanzas of John Milton's early ode, On the Morning of Christ's Nativity (1629), in three movments, with SATB soloists, SATB chorus, and full orchestra, including harp and organ.